Six years ago, Pat's Football Blog received a document outlining the potential for a football structure in the Marshall Islands, an independent country in the Micronesia region of the Pacific, and wrote an article on its content, together with a few thoughts on the subject from Amy Sasser, a (then) representative of the Marshall Islands National Olympic Committee (MINOC), which is based in the nation's capital, Majuro. Back then, Ms. Sasser told Pat's Football Blog that there was no organised football in the country, and was unaware of any football being played on Kwajalein Atoll, which also forms an integral part of the country but is the site of a US Army base, although the game has been played on Kwajalein for nigh on fifty years. At a meeting held during July's Micronesian Games, which were held on the Federated States of Micronesia (FSM) island of Yap, the Micronesian Games Council awarded the Marshall Islands the right to host the next Micronesian Games in 2022, with Majuro designated as the host venue. The Northern Marianas also expressed their interest in hosting the Games, but pulled out at the last minute, allowing the Marshall Islands the opportunity to host the gathering for the first time. The Marshall Islands is one of the poorest countries in the world and lacks most of the sporting infrastructure needed to host an event such as the Micronesian Games; as a result, the government will be required to heavily invest in facilities. However, in a letter sent to the Micronesian Games Council's president Bill Keldermans in the run-up to the Council meeting, the country's president Hilda Heine stated that the nation's government was ready and able to provide the funding necessary to bring the nation's sporting infrastructure up to scratch. President Heine wrote: "We understand that by taking responsibility to host the Micronesian Games we, the Marshall Islands Government, must also assume the responsibility to build the necessary facilities and infrastructure. The Marshall Islands Government is committed to provide the necessary budgetary requirements to support hosting the Micronesian Games." In a country where space is at a premium, the construction of new sporting facilities might not be an easy task, but Ms. Heine added that the Micronesian Games "gives our youth positive alternatives and healthy outlets to express themselves." In a presentation to the Micronesian Games Council in Yap on 22 July, the MINOC General Secretary Terry Sasser informed those gathered that facilities for basketball, beach volleyball, table-tennis, volleyball, weight-lifting, wrestling, canoe racing, Micronesian All-Round - which consists of Coconut tree-climbing, coconut grating and/or grating, running, diving, spear-fishing and swimming, and spear-fishing would be built or updated, along with tennis courts and two fast-pitch softball fields and a swimming pool. The budget for these improvements is an estimated US$4.5 million. Sasser also laid out plans for an athletics track and grandstand, which, together with a car-park and other facilities, would be built on a man-made landfill within the Majuro Lagoon at an estimated cost of US$7.5 million. An impressive legacy for the country's sportsmen of all ages and sporting preferences to inherit, one might think - and innovative to boot. Unfortunately, football might not be among those sports which will reap the benefits of the planned new stadium. Nor will it be played at the 2022 Micronesian Games, a spokesperson for the MINOC confirmed recently to Pat's Football Blog. When asked about the state of the game - or whether it was played - in the Marshall Islands, the spokesperson added that football "is not played in an organised fashion in the islands..we do not currently have the facilites or human resources to develop the sport of soccer at this time..There are no indoor facilities large enough, and only two outdoor spaces..that might be large enough for soccer. MINOC does not have funding for soccer and does not spend any of its funding on soccer." They also stated that they have not personally seen any local interest in football, but were informed that there may be some, although if football is played in the islands, "it might be children playing unorganised pick-up games outdoors." 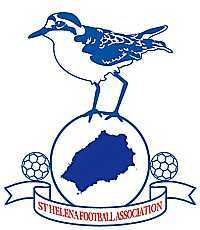 It was put to the spokesperson that perhaps CONIFA might be able to step in and offer logistical support to anyone in the Marshall Islands who would be interested in organising football in the country, whether they be within MINOC or without, and that MINOC could do some research on organisations outside the country which might be able to assist in this, but this - theoretical - option was dismissed. "MINOC's staff is already too busy managing/assisting the ten active sports we do have in [the Marshall Islands], so there is no-one who has the time to look into organisations who want [to help develop] soccer in the Republic of the Marshall Islands." The Marshall Islands and MINOC have just four years to prepare for the 2022 Micronesian Games, and they will fly by. It is not imperative that football be included in the Games in four years' time, of course, or for football to be organised in some shape or form in the country during the next four years. It will most likely be up to individuals outside MINOC to organise football in the islands, probably through that most effective of media, word of mouth, and to take advantage of the opportunity offered to the country and its sporting public of hosting a prestigious international tournament and being able to use proper sporting facilites - thereby potentially increasing the number of active sports being played in the islands - somewhere actually big enough to host (international) football matches and satisfy FIFA's membership criteria. But, organising football in the Marshall Islands will need MINOC's help, to some degree, at least, and that does not appear to be forthcoming. Could the hosting of the next Micronesian Games and the building of a new stadium turn out to be an opportunity wasted for the development of football there, and all because someone refused to countenance sitting down in front of a computer for a couple of hours in order to do some research? AUTHOR'S NOTE: Many thanks to the (unnamed) spokesperson from the Marshall Islands National Olympic Committee for their assistance. Much of the information contained in the above article was taken from the Marshall Islands Journal, the Kaselehlie Press and the 2018 Micronesian Games website. 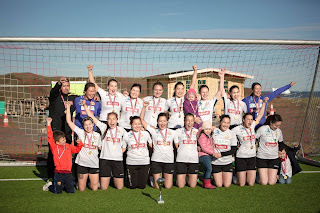 It's been a long, long time since one of Greenland's oldest football clubs, GSS, has won a senior national championship, but they now have, at long last, something to celebrate. The club, founded in 1944, reached its first senior national final since the men's team took the title for the fifth and last time in 1976. This time, though, it was the women's team who finished top of the pile this time around, and in doing so, made history; it was the club's first national women's title. GSS' previous best performance at a national championship came in 2003, when they finished in third place; since then, both they and the men's team have long lived in the shadow of B-67, NÛK, and, more recently, IT-79, but this is hardly surprising as the club has tended to concentrate on the indoor game in recent years. The majority of the GSS team played for B-67 in last year's championship due to registration problems with their own club, and helped their cross-town rivals finish as runners-up. Six other teams took part in the tournament, which was held in Qeqertarsuaq: hosts Disko 1976, their local rivals G-44, GSS' cross-town rivals and 2017 champions NÛK, UB-83 (Upernavik), UB-68 (Uummannaq), Aqisseq (Kangaatsiaq) and Nagdlúnguak-48 (Ilulissat), who, like GSS, have been dominated by a team from across town, in this case I-69 - at least as women's football is concerned. NÛK and I-69 have had a monopoly on the women's national championship since 1995; since then, no other team has won the title, and only once since 1997 has either of the teams finished outside the top three. To the surprise of many, I-69 declined to enter the competition this year; this was due to some organisational issues which led to a lack of interest in training from many of the players, so the club decided to regroup in order to field a stronger team next year. 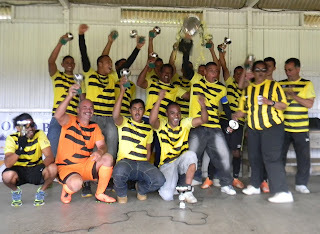 Due to I-69's non-participation, the way was open for other clubs to challenge NÛK for the title, and the most obvious challengers from Group A were UB-68, runners-up for the sixth time in 2016 and the only team in the group who had never won the championship. They obliterated their group opposition, scoring forty goals and conceding just one, reaching double figures in two matches. 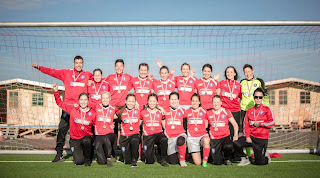 Olina Kristensen scored four of their goals against UB-83, whilst team-mates Karoline Malakiassen and Evita Grønvold each grabbed hat-tricks; Kristensen then hit seven goals against Nagdlúnguak-48. Hosts Disko 1976 finished second on goal difference, due in no small part to their being the only team not to lose by double figures against UB-68. There were only three matches in Group B, and the closest of the three was the opening match between NÛK and GSS, which ended with GSS, perhaps surprisingly, winning by six goals to four with Najaaja Anja Lyberth contributing three of the goals. NÛK then won their next match against Aqisseq 8:2 to put them into the semi-finals, before GSS annihilated Aqisseq, thrashing them 27:1 to finish top of the group. Asii Kleist Berthelsen scored thirteen goals against the team representing the small village of Kangaatsiaq, whilst Lyberth added another six. 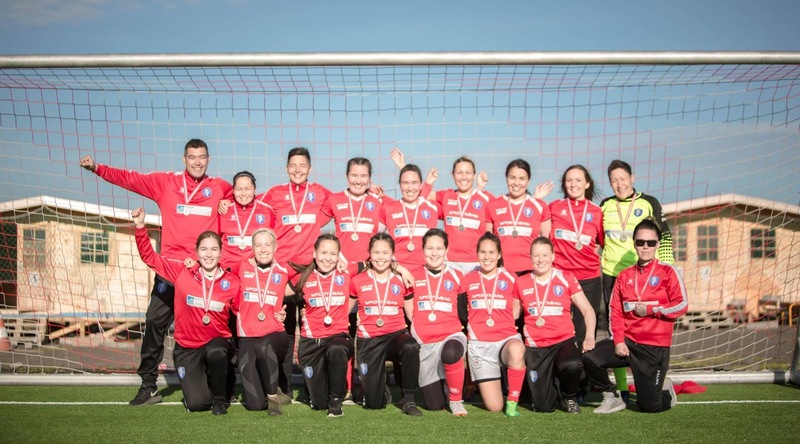 NÛK cruised past UB-68 in the semi-finals with the minumum of fuss, winning 4:1, the goals being shared between Pilunnguaq Chemnitz and Aili Pedersen. In the other semi-final, GSS' 14-year-old goal-machine Kleist Berthelsen added another nine goals to her personal tally as her team scored nineteen goals without reply against Disko 1976. Before the NÛK and GSS met in the final, the two play-offs for the minor placings were played and, true to form, they were packed with goals. Nagdlúnguak-48 finished bottom of Group A, and as only seven teams took part in the tournament, they were eliminated as they came last in the four-team group. Aqisseq faced UB-83 in the fifth-place play-off, and were once again on the end of a double-figure defeat, this time at the hands of UB-83 as they went down 13:1. The third-place play-off was between UB-68 and Disko 1976, and it was to be another chastening defeat for the hosts. 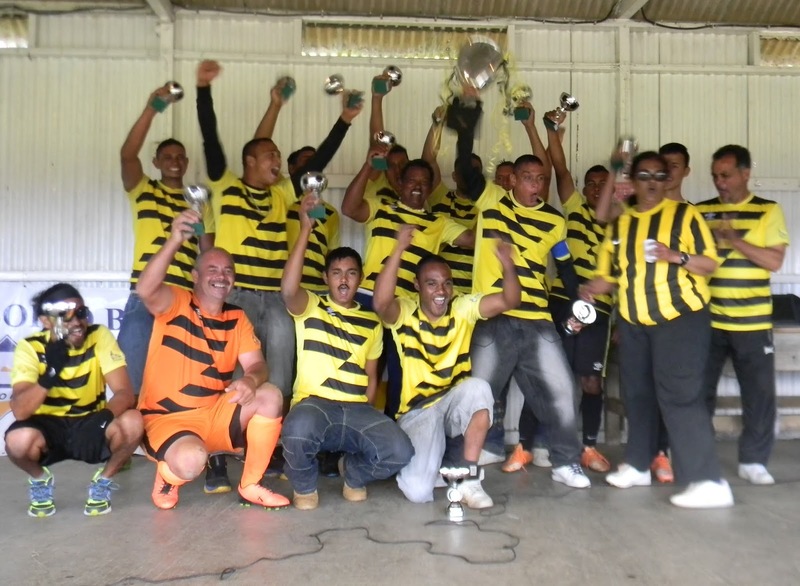 UB-68 had already scored forty-one goals; they scored another sixteen in this game alone to round off their tournament in style, finishing in third place. Malakiassen scored seven of them, whilst Grønvold weighed in with four. The final, meanwhile, was one-way traffic, and Kleist Berthelsen weighed in with a hat-trick as GSS crushed reigning champions NÛK 6:1; Arnarissoq Møller scored twice as GSS moved up the gears - no doubt helped by the sending-off of NÛK's Pilannguaq Chemnitz for a second yellow card, the only expulsion of the tournament - winning their first-ever national women's championship in rampant fashion after coming from nowhere. They may well have to defend their title next year without Kleist Berthelsen, however, as the youngster has moved to Danish champions Fortuna Hjørring to play for their under-16 side. Berthelsen, described as one of four key players for the club by manager Peter Hardenberg Davidsen - who mentioned that he 14-year-old has played for GSS' boys under-11, under-13 and under-15 teams - was cited as someone with a very bright future in the game by team-mate Vivi Fleischer, who herself bravely took part in every game in the competition despite suffering from a debilatating illness. Fleischer added that there was a "big difference between the teams. For example, we won 27:1 against a team from northern Greenland [Aqisseq] and won the final against NÛK with 6:1."